Nominated for an Edgar Award for Best Mystery of the Year, City of Glass inaugurates the intriguing New York Trilogy of novels that the Washington Post Book World has classified as "post-existentialist private eye...It's as if Kafka has gotten hooked on the gumshoe game and penned his own ever-spiraling version." As a result of a strange phone call in the middle of the night, Quinn, a writer of detective fiction and crime books, becomes enmeshed in a case more puzzling than any he might have written. 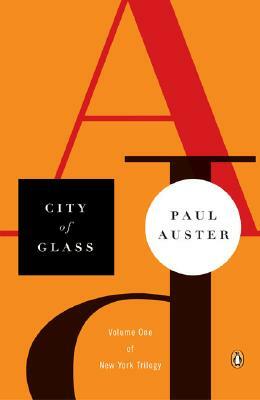 New York Times-bestselling author Paul Auster combines dark humor with Hitchcock-like suspense to City of Glass.